Painted with coconut palms, sea grape trees, and scattered with hammocks, the beautiful tranquil beach sits at the heart of Cayman Brac Beach Resort. 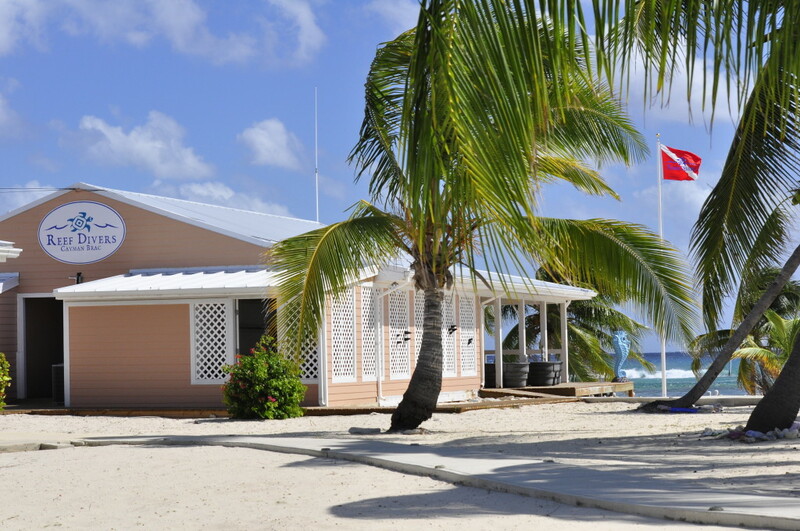 The hotel is a charming, family-owned all-inclusive getaway located on four and a half acres of white-sand beachfront on the island of Cayman Brac. The property offers a full-service spa, tennis courts, a fitness center, a swimming pool and jacuzzi. 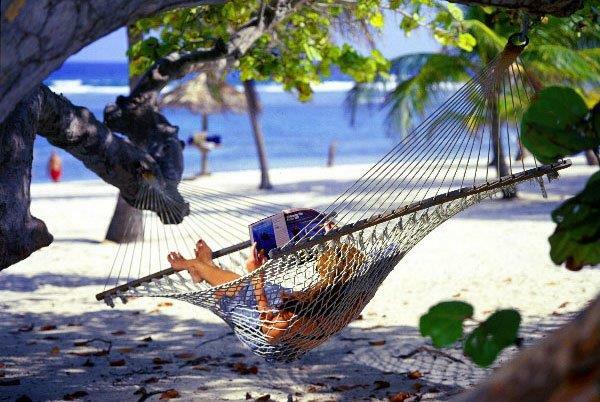 You’ll find hammocks and tree swings nestled in the sea grape and coconut palm trees. Cayman Brac Beach Resort offers all of the amenities and services for a perfect tropical vacation, with forty beautifully appointed beachfront guest rooms that are air conditioned and furnished with walk-in showers, cable TV, phones, free WIFI, ceiling fans, hair dryers, in-room coffee service and private balconies or patios that surround you with pure tropical paradise. Three of our forty rooms are ADH equipped, and our 10 junior suites include upgraded furnishings, a mini-fridge, recliners and monogrammed bath robes. The Palms Caribbean Restaurant tempts you with the taste of the tropics as well as serving American and continental cuisines.Breakfast is served from 7 to 9 a.m., continental breakfast served from 9 to 10 a.m., lunch from 12:30 to 1:30 p.m., and dinner 6:30 to 8 p.m. The Tipsy Turtle Pub is a poolside bar overlooking the beach, specializing in refreshing tropical drinks, and is the gathering place for guests before and after meals.The bar opens at 12 noon and closes at 1 a.m., Monday through Friday; closing at midnight on Saturday; Sunday noon until midnight. The bar also offers a great menu of food including delicious burgers, fries and salads. Food is served at the bar daily between 12 noon and 9 p.m.
Reef Divers is the on-site dive operator. They offer a fleet of modern designed custom 42 foot dive boats, a complete inventory of tanks and scuba equipment and a staff of friendly and experienced guides and instructors. There is a full-service photo center. You will enjoy their valet dive service – you keep your mask, computer and wet suit but the dive shop will handle the rest of your gear for the entire stay. They’ll have it ready and geared up for you on the boat every morning. Diving includes 2 or 3 boat dives per day (a two-tank 8:30 am departure and a one-tank 2:00 pm departure). In addition to world-famous Cayman Brac diving, other island activities include snorkeling, kayaking, fishing, tennis, beach volleyball, hiking, caving, rock climbing, bird watching and biking. When not diving, enjoy the island’s other adventures. These include hiking, exploring caves in the bluff, bird watching and visiting the nature preserve with more than 150 species of birds and abundant natural floral and fauna including the rare green parrot, iguanas, snow egrets and a variety of tropical plants and flowers.At night check out the school of tarpon that hang around the hotel pier, join your friends at the bar and socialize, or sit on the romantic beach under a blanket of stars. 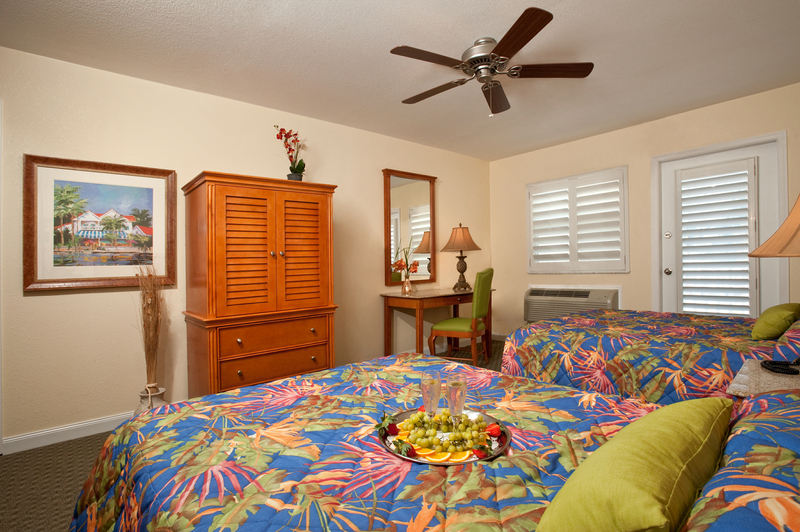 We can’t wait to share our island paradise with you!